Auburn University student Daniel Udochi is a long way from his home of Lagos, Nigeria, but he’s hoping his College of Sciences and Mathematics (COSAM) education will eventually benefit his home country. Daniel’s high school education was focused on the British curriculum, so many of his classmates sought further education in the United Kingdom, but Daniel and his brother, John, focused on the United States. Daniel’s first trip to the U.S. was to visit his uncle in Georgia, which led him to visit schools nearby such as Auburn University. Daniel said what solidified his decision to attend school at Auburn was how much his Mom loved the town, and attending his brother’s Camp War Eagle program. “I saw the traditions, I saw the people, I saw the classes and I thought this would be a good place for me to be … not just because my brother’s here, but I want to be a part of this family,” he said. Daniel started school at Auburn in 2015 and originally planned to study aeronautical engineering because he wanted to be a pilot. He soon decided he was more interested in science and decided to obtain a microbiology degree. Daniel will graduate in May and is currently applying to medical schools with plans to become an Otolaryngologist (an ENT surgeon). 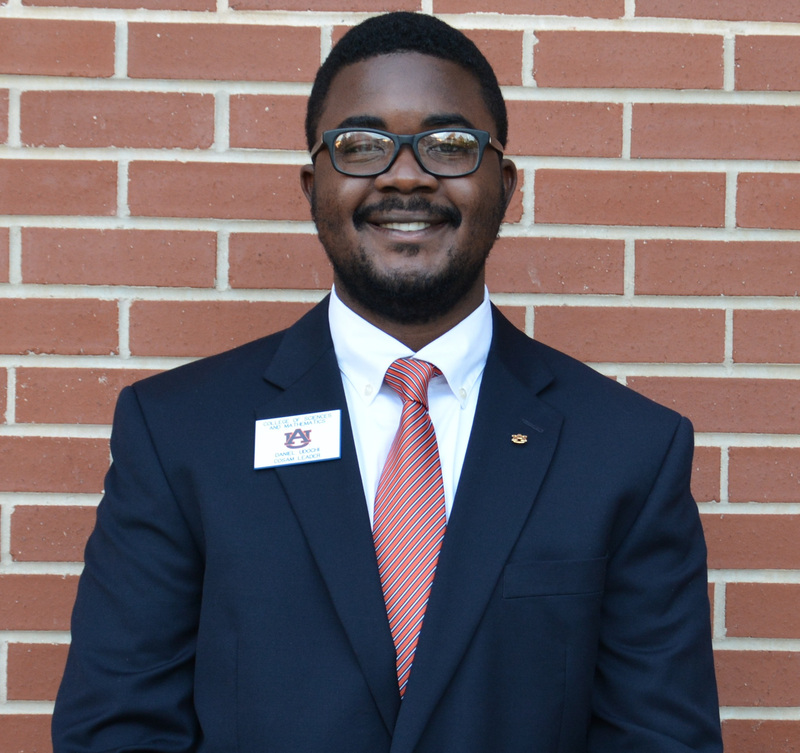 During his time at Auburn, Daniel has served as a Peer Advisor and a COSAM Leader. Daniel is also the on-campus public relations secretary of the Auburn University American Red Cross Club, is polymentarian of the Minority Association of Pre-Health Student Chapter (MAPS), and is an associate member of Alpha Epsilon Delta. He is also a member of Auburn First Baptist Church. “My faith has been a strong core of my time at Auburn,” he said. Daniel recently won the COSAM T-shirt design contest. He said his motivation was that he wanted to make an impact during his time at COSAM. After medical school, Daniel plans to train in the U.S., but hopes to eventually bring his skills back to Nigeria. Daniel said that being a student in COSAM has also taught him resilience, perseverance and to strive for excellence. COSAM Leader Daniel Udochi in front of the Sciences Center Classroom building.